The story of an actor . . . The story of a country . . . The story of a continent . 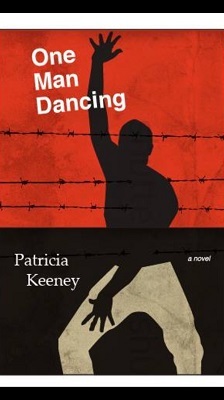 . . All of these would be fitting expressions to describe the novel written by Patricia Keeney, whose title, One Man Dancing, is both self-explanatory and enigmatic at one and the same time. Indeed, this phrase contains the key elements of the book, as it reflects the loneliness of an African artist struggling to maintain his freedom in the face of personal and collective suffering. His name is Charles Tumwesigye. Although written in such a way that it appears to be a product of pure imagination, this book, as its final pages reveal most emphatically, is based on real facts. Situated between fiction and non-fiction, between the subtlety of language and the harshness of actual history, Keeney’s work is an attempt—and a highly successful one at that—to transcribe the destiny of a being who finds in his art the only possible response to the conundrums of his life. And what a convoluted life he has led: born in Uganda, he becomes an actor and then a member of a legendary theatre company that tours extensively in Europe and the Americas; he earns fame and loses everything, including his own country, before eventually emigrating to Canada, where he still lives. Alone. In everything this improbable hero does, as recounted in the book, he seems to be irremediably alone. Childhood, adolescence, the journey into manhood unfold against the political backdrop of a country tormented by the grotesque spectre of a bloodthirsty dictator. Idi Amin, the Ugandan leader who mutilated his own nation, is the constant shadow that accompanies the book’s main character. He never appears as such, not in the explicit and forceful way he does in The Last King of Scotland, but he is always there, even when he is absent. This is, in a sense, a political novel, a bitter contemplation of the disaster wrought by dictatorship in a country whose bright colours of hope and culture may never shine again. These colours are on display during Charles’s childhood, when he discovers a world dominated by the figure of his father, a man who gradually vanishes over the course of the book, eventually being reduced to a state of frailty and loss. In fact, he is no longer there any more, merely being referred to in the account provided by an old friend. Indeed, Charles never goes back to see his dying parents, the rift between him and his homeland thus becoming irreversible. The novel’s central theme is exile, both forced and self-imposed: through art, through love, through everything entailed by belonging to a company of actors that were to become the free image of a controlled nation. 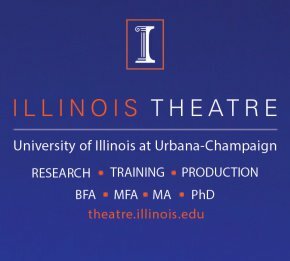 The name of the company may sound familiar to certain theatre people, particularly those who have explored the history of African performance: Abafumi. There is very little, almost nothing, in the book that is not related, directly or indirectly, to this company responsible for a series of stage works, challenging in various ways. Its artistic driving force, Robert Serumaga, seems to be the implied main character: he is Charles’s creative mentor and the one to influence his existence in a way that no one else is able to. He is the one who, negotiating perils of all kinds and using his status as a shield, nurtures liaisons with American agencies in order to ensure the international trajectory of his actors. These agencies are not always artistic, however, and his relationship with the CIA is constantly hinted at, though never clarified. This remains a mystery, not only for the reader, but also the writer and for Charles himself. His point of view provides the key to the entire narrative and is carefully juxtaposed with remarks about the world that emerge from broader research conducted by Keeney in the fields of African history, anthropology and, of course, theatre. Although this book clearly lends itself to cinema in a most organic way, theatre remains its real core. Not merely because its main character is a trained actor, or because his identity is shaped by the company run by Robert. Not even because everything is infused with the energy and inspirations of real stage life. Rather, the entire novel is accompanied by a constant sense of theatricality, becoming something akin to a long monologue interrupted by the voices and the presence of others. The subject matter is African theatre, imbued with myth and local specificity. However, the general tone is theatrical in a more . . . universal fashion, thus making the book appeal to readers from anywhere, above all to readers who are also spectators. It is the Joycean theatre of the mind, turning the banality of the everyday into the stuff of dreams, into the very fabric of stage emotions. Unsurprisingly, again in the spirit of Joyce, Shakespeare’s most famous work is the catalyst for Charles’s dilemmas and inner contradictions. The protagonist’s discovery of Hamlet, the character and the play, provides one of the central moments of the book. His existential doubt is then voiced in a manner that echoes Hamlet’s mantra, to be or not to be. For Charles, every aspect of life is a source of hesitation—from the moment he thinks he wants to quit the company following a row with Robert, the uncompromising artistic leader who compromises one of his company’s performances, to that of his attempt to claim asylum in Sweden, a country that rejects him on the grounds of his possession of false papers. Nothing is ever clear, the effect of absolute determination. Everything is uncertain, unstable, at the mercy of exterior circumstances and deeply affected by the character’s constant quandaries. Charles is, ultimately, an African Hamlet, and in a way that the immeasurably more famous boy from The Lion King cannot be: in his mind, in his feelings. Even the love he feels for a fellow actress is a relative sentiment, heavily imposed by circumstance. Nothing in him resembles the strong willpower possessed by Robert, who manages to take the company from the obscurity of Uganda to some of the greatest stages of the world: Caracas, Amsterdam, Krakow. All these places are immediately significant in the journey of this African Hamlet, as if they were stations in a Bildungsroman with no ending. And each of them is treated by Keeney with enormous attention to detail—not so much exterior as interior. Each such encounter is analyzed in terms of the way Charles sees things, how he perceives the novelty of place, the reality of cultural and human difference. One example becomes more evocative than any other next. While in Poland, the African company visits Auschwitz, that place of utter horror and inhumanity. Right there and then, they each have a revelation that would seem to be a mise en abyme: Amin’s regime is for Uganda what Hilter’s holocaust was for Europe. This sounds like a historical verdict, formulated unpretentiously, one that could make all western, white, “civilized” people relate to the atrocities of recent African history. Genocide is too abstract; holocaust seems a more appropriate term of comparison. Like Hamlet, it is also a metaphor, a means of contemplating African truth with a sense of assumed responsibility. Beyond facts and feelings, reality and fiction, this is the enduring message of One Man Dancing, a human and humanistic perspective on Africa in which theatre becomes the common ground for every reader, from everywhere. As revealed at the end, the book is the direct result of a different sort of theatrical encounter that owes much to Don Rubin. This esteemed scholar edited Routledge’s World Encyclopedia of Contemporary Theatre, a uniquely complex venture during which he relied on colleagues and sources from all over the world. One of these sources was none other than Charles. It was this improbable connection, demystified in the end, that led to the writing of this novel, which the author gracefully pens without ever resorting to the first person. Whose novel is it? Whose story is ultimately being told? Hers? His? A list of honest clarifications is provided so that no alteration might compromise the accuracy of the account in both historical and human terms. The reader is thus afforded a clear insight into the genetic development of the book and everything else besides the first scene—that of the Canadian tornado—is explained and justified. And yet . . .
And yet, its mystery remains, lingering beyond the pages of this beautiful work, whose title now seems more poignant than during the process of reading. One Man Dancing is more than the tale of a Ugandan artist or the account of a Canadian author inspired by it. It is certainly more than a chronicle of a theatre group, built and disintegrated against the backdrop of tragic political events. It is the story of African otherness, something that not even in or through theatre can be properly apprehended. It is the narrative of an unknown world in which people live, love and dance away from the spotlights of world history. This novel tries to shine a huge spotlight on one of Africa’s most unsung theatrical heroes, the lead actor of Abafumi, Charles Tumwesigye. The Ugandan Hamlet, always dancing alone. 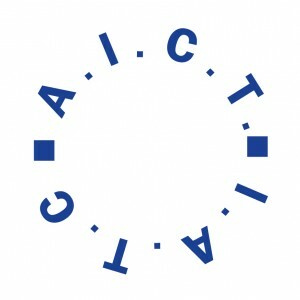 *Octavian Saiu, Adjunct Secretary General of IATC and President of the Romanian Section – Theatre Studies of IATC, holds a PhD in Theatre Studies, for a thesis about theatrical space, and one in Comparative Literature, for a thesis about Samuel Beckett and Eugène Ionesco. He completed his Post-Doctoral Research in European Literature (Modernism) and has been awarded his Habilitation in Theatre and Performing Arts. 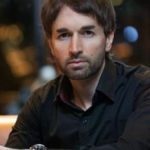 He teaches postgraduate courses in Romania and Japan, and has offered Master Classes at other universities in Europe and Asia, as well as the Grotowski Institute. He has published articles in several international journals, as well as nine books on theatre, and he received the Critics’ Award in 2010 and the Award of the Union of Theatre Artists (UNITER) in 2013. Actively involved in various international events around the world, he has chaired talks and seminars at Edinburgh International Festival, the Theatre Olympics and Sibiu International Theatre Festival. His most recent publication in English is the monograph, Hamlet and the Madness of the World (2016).